Doing some short recap from previous routing videos we remember that for two devices in different subnets to communicate the routing is needed. To commyncate outside the subnets default gatway is neededand this role serves the router. When packet comes to router interface frame is tripped and ip header is chekced in looking for destination ip of packet. Then the routing table is consulted to match destination ip. If match is found router sends the packet out of given interface towards the next hop. The routing table has routing entries. The entries come from the routing sources. 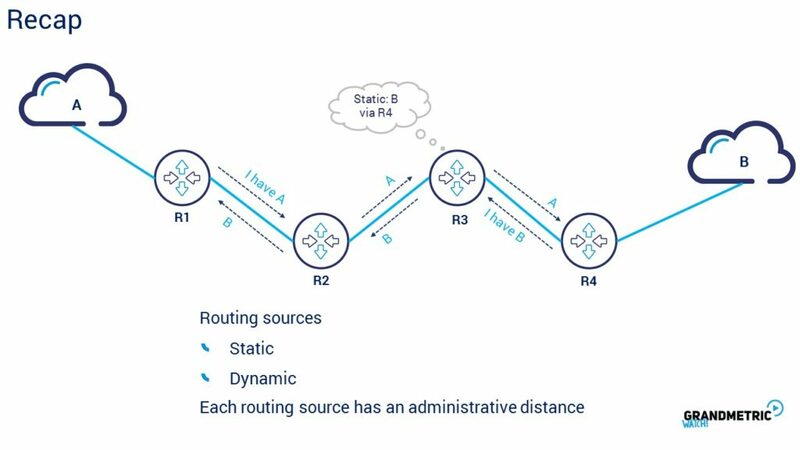 Sources can be connected network, static route to desitination manually added by administrator or information from dynamic routing protocol. Each routing information source has its importance called administrative distance. 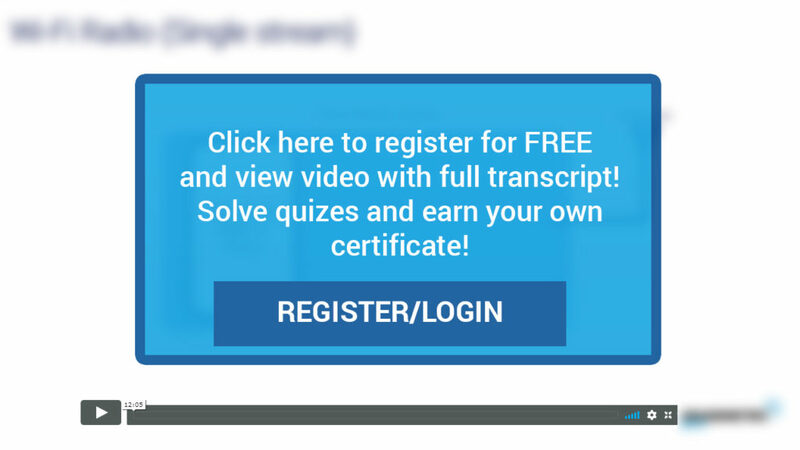 The lower ad is the more important entry is. When router has more than one routing information identicall in terms of prefix length (meaning network mask length) it compares the AD before putting the entry into routing table. If AD is equal router enters two entries into the routing table resulting in load balancing the traffic to given destination. Now I will show the most common applications of routing enterprise environments to stick to reality. The first scenario is when the comapny has many geogrphicaly separated offices, magazines, storages shops and so on. Alle of tchem require connectivity at least for connections to central systems of articles, prices, invoices, documents and so on. In addition to that connectivity for IP telephony, Instant messaging , mailing and finally for administration purposes is needed. All this leads to critical requirement for connetivity. This kind of network is called Wide Are Network – WAN and is crucial for company to effectively do it’s business. 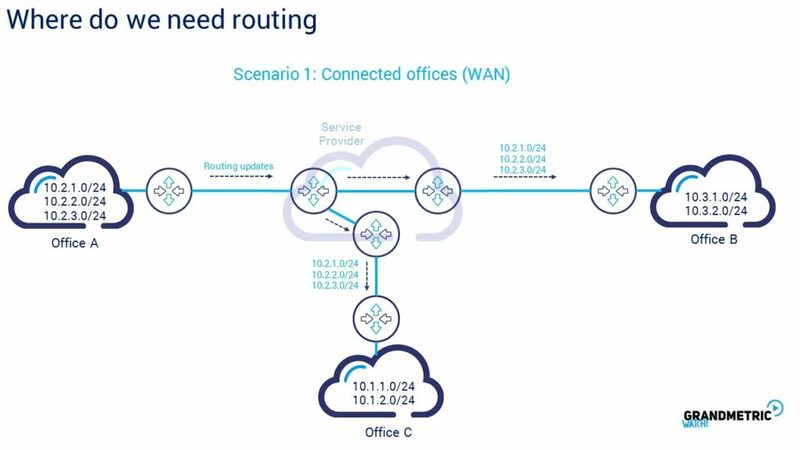 In cush manner to achieve routing consistency WAN network needs to well designed, IP addressing planned with the global routing plan and routing between locations is the main critical point here. In such cases where the company has several or hundreds of location and each lcation as at least few subnets dynamic routing is naturally of first choice. This is because of scale, mistakes avoidance and the need for quick reconvergence. 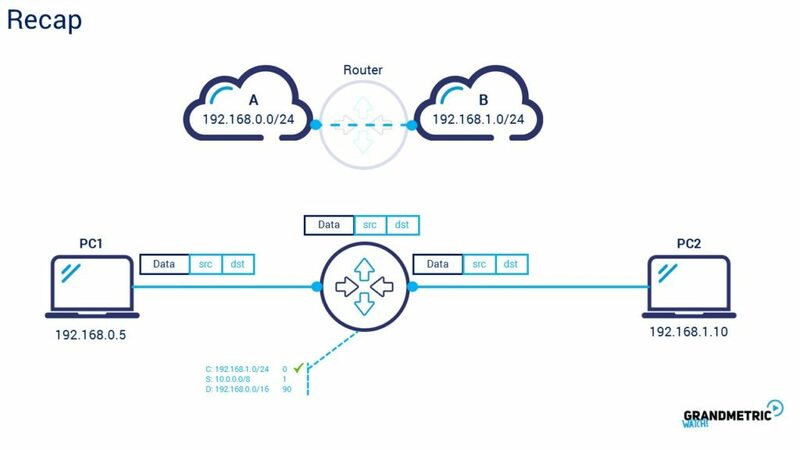 Today there are many solutions for such WAN networks like encrypted VPNs , MPLS links or pyblic or hybrid Cloud environemnts, but all of them need routing. The second scenario when routing is needed is capmus network where you will meet several network segments. The typical segments there are printer subnets where you will find all printers in the campus, IP phones subnets where there are at least one subnet within /24 network. Of course there are also users subnets again at least one and those subnets are in the access layer segments used commonly everydey by users. The tendency in campus is that those subnets are connected with so called enterprise core device like big layer 3 device. Most often the enterprise core device is f high port density and high performance because it operates at layer 2 and layer 3 simultaneously so is kind of functional mix between switch and router. The other subnets in campus are separated from user access subnets. Those are Data center subnets where bare metal and virtual servers are located, data bases exists and special purpose systems are located. Very often such DC is separaeted by own DC Switch to enable so called fault isolation. In case of some issues experience in user access part where the risk is relativly higher the the DC isolation can save the DC. Somteimes is worth to disable some user segments and let the DC survive because for example DC servers as a ecommerce backedn or serves as systems for other comapny locations.